Your only Americana and Folk instrument shop in South Florida! Great selection of Guitars, Banjos, Mandolins and Ukuleles. Martin, Kamaka, Collings, Eastman, Deering, Gold Tone, Nechville, Ome, Pono, Kanile'a, Alvarez, Teton are some of the brands we carry. We have been in business for almost 8 years and have thousands of satisfied customers. Come Take a Look! Return policy Return policy help All returns accepted Your buyer should contact you within 14 Days after receiving the item. Refund given as money back or exchange (buyer's choice). Return shipping will be paid by your buyer . Additional return policy details: All returns accepted Your buyer should contact you within 14 Days after receiving the item. Refund given as Money back or exchange (buyer's choice). Return shipping will be paid by your buyer . Additional return policy details: All returns other than Defective, Incomplete or Damaged items will be subject to a 10% restocking fee. Customers are responsible for return shipping cost back to Penny Lane Emporium. Original shipping cost is not refundable on returned products. For a "Free Shipping/Standard Shipping" item, an actual shipping charge may be calculated and deducted from your refund. All returns must be shipped within 48 hours of being provided the RMA and receive within 30 days from the invoice date. All products returned to us must be in "like new" condition, including all original shipping containers, materials, and accessories from the manufacturer otherwise your return will be rejected or additional damage charges may be assessed. Customers must insure shipment via a shipping method which can track such as FedEx or UPS. 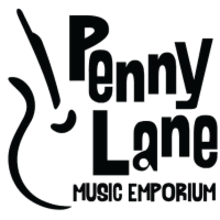 Penny Lane Emporium is not responsible for lost or damaged products.Shipment must be insured for the value of the product.